Thinking on more ways of showing what is interesting about this oak tree. This is a print (two prints actually; one on silk, one on cotton behind it) of a leaf, taken from one of the branches that broke in the recent storm. What a great way to remember/honour your oaktree! Your “Winterpond” is so good ! 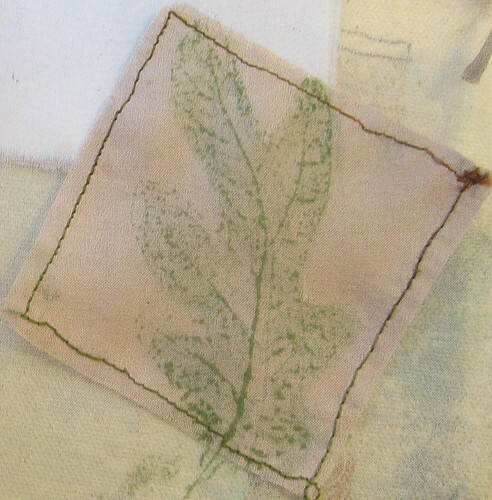 Love the idea of a fabric scetch book ….